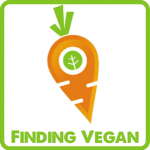 It is difficult to find gluten free recipes that use only whole grains. 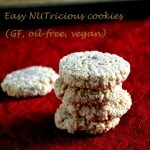 I found that a combination of gluten-free oats and finger millet flour works really well. 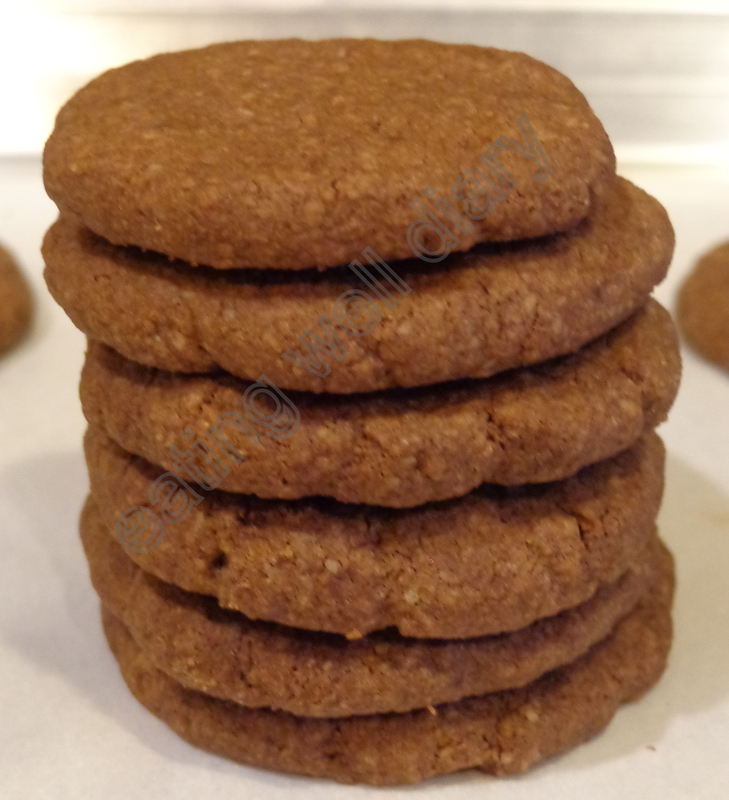 This is a simple recipe using only six ingredients, that yields very crisp and tasty cookies. 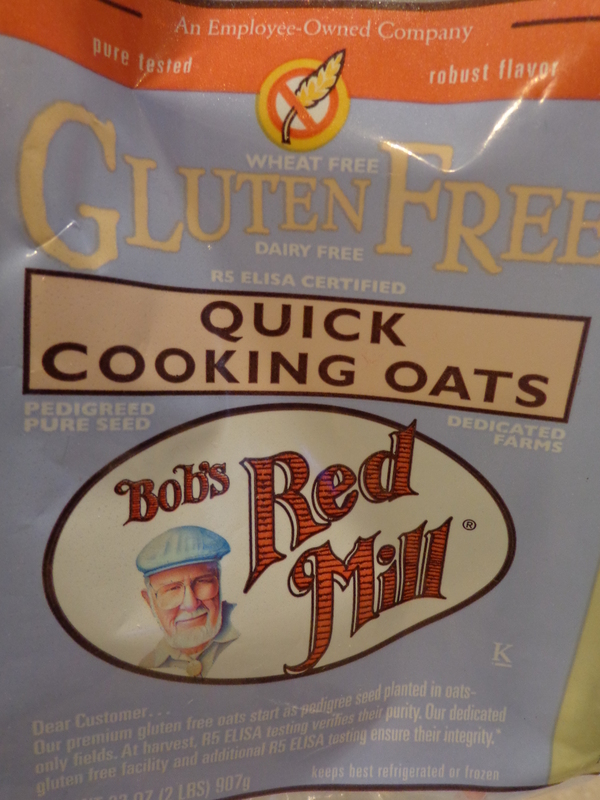 I used Bob’s Red Mill Gluten free oats and powdered it to make oat flour. 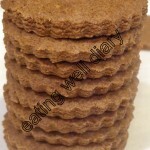 Please see my post on ragi- (finger millet) for information on the kind of ragi flour I use in baking. Preparation time: 10 min to prep and 20 min to bake. unsweetened cocoa powder- 2 tbsp. powdered sugar- 1/3 cup + 1 tbsp. * Combine melted butter ans powdered sugar, mix with ladle to dissolve sugar. 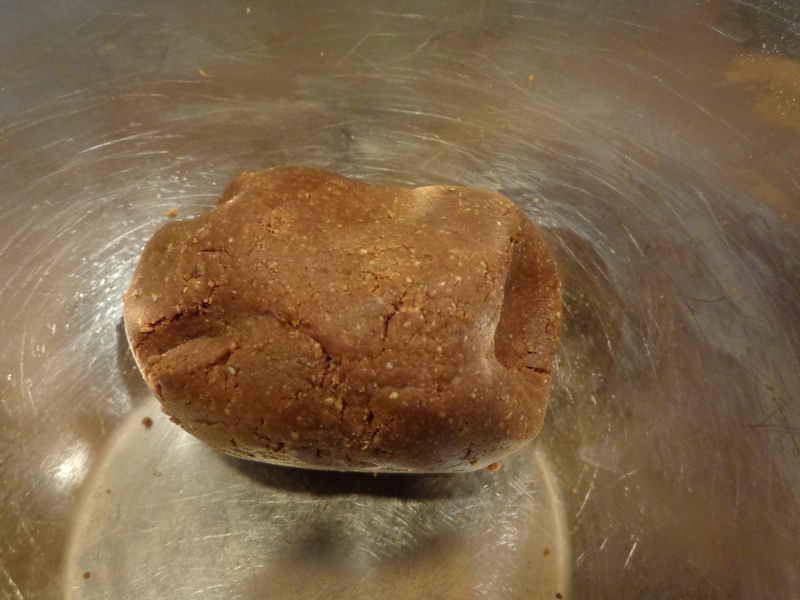 * Add flours, cocoa powder, vanilla extract and knead into a ball with hands. 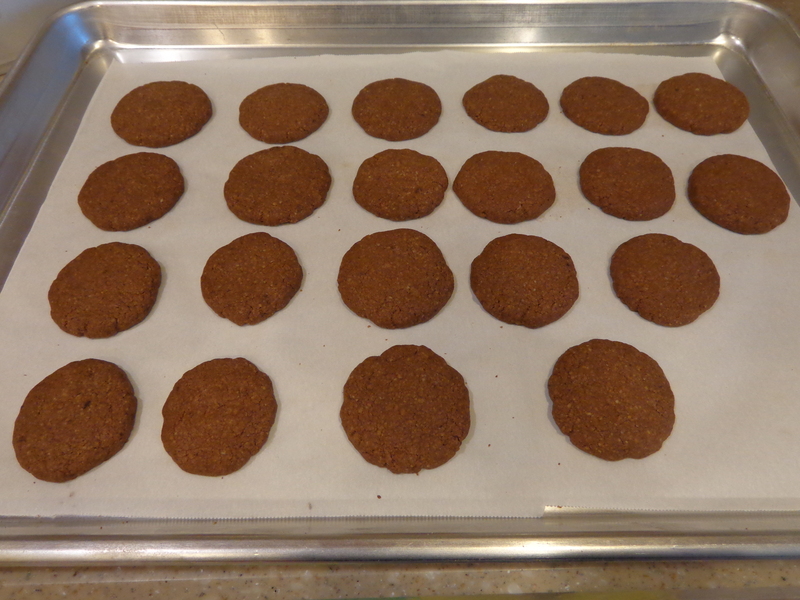 * Divide dough into small balls and flatten on a parchment-lined baking sheet into small circles. 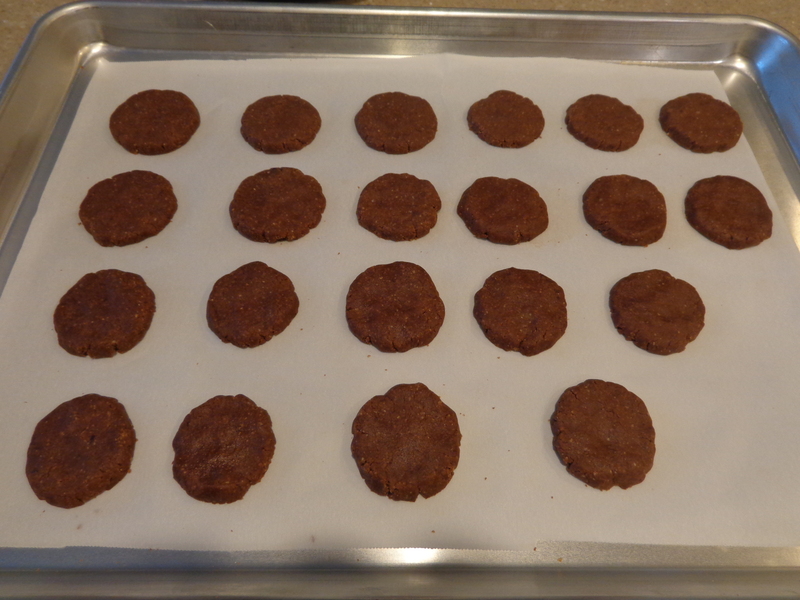 * Bake in a preheated oven at 350 F for 20 minutes. 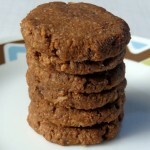 This gave 21 cookies with a delightfully crisp, yet crumbly texture.